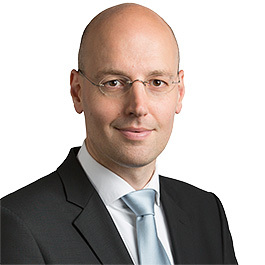 Hans-Jörgen Aigner is an attorney at law (Rechtsanwalt) specialising in tax law, criminal tax law and corporate law. His practice focuses on corporate tax law, reorganizations, value added tax, international taxation, tax aspects of M&A, financing transactions and structured products, tax litigation before the federal fiscal court and the supreme courts and criminal tax law. He is admitted to the Austrian Bar. Hans-Jörgen is a member of the adjunct faculty of the Vienna University of Economics and Business where he regularly teaches Austrian and international tax law, a member of the adjunct faculty of the Johannes Kepler University Linz where he regularly teaches criminal tax law and a faculty member of the WU Executive Academy. He is also an expert witness for accounting at the commercial court of Vienna. Hans-Jörgen is author and (co-)editor of books, book chapters and more than 50 articles in research journals. Hans-Jörgen completed his legal education in Vienna, Austria. He holds a Master of Laws degree (Mag. iur.) and a Doctor of Jurisprudence degree (Dr. iur.) from the University of Vienna. Hans-Jörgen is also a graduate of the Vienna University of Economics and Business (Master of Business Administration, Mag. rer.soc.oec.). Before founding Aigner Buzanich Attorneys at law, Hans-Jörgen was an attorney at law at Freshfields Bruckhaus Deringer in Vienna and London (2004 to 2012) and a research associate at the Institute for Austrian and International Tax Law of the Vienna University of Economics and Business (1999 to 2003). Tax due diligence and tax advice to NASDAQ-listed Bruker corporation upon the acquisition of Alicona Imaging GmbH, a leading provider of optical-based meteorology products based in Austria. Tax due diligence and tax advice to the German Studienkreis group upon the acquisition of Lernquadrat, a leading provider of tutoring services in Austria. Tax ruling on and implementation of a cross border export merger of an Austrian holding company for a German wholesaler of office supplies. Tax due diligence, tax structuring and post-acquisition restructuring (dissolution of an Austrian KG structure and up-stream merger of an operational subsidiary) for a Small Cap Fund that acquired a leading manufacturer of electronic KeyCard and Guestroom Management Systems in Germany with Austrian subsidiaries. Tax litigation before the Austrian constitutional court (Verfassungsgerichtshof) regarding Sec 103 Austrian Income Tax Act (case no. E 3721/2018). Tax litigation before the supreme administrative court (Verwaltungsgerichtshof) for a partnership of doctors (successful case no. 2016/15/0055). Tax litigation before the supreme administrative court (Verwaltungsgerichtshof) for a reconstruction services company (successful cases no. 2013/13/0114 and 2013/13/0113). Tax litigation before the supreme administrative court (Verwaltungsgerichtshof) for a construction company (successful case no. 2012/15/0096). Tax litigation before the federal tax court (Bundesfinanzgericht) for doctors regarding VAT issues upon the acquisition of the doctors office (successful due to pre-decision of competent tax office).